As social media becomes increasingly more common, we often get asked whether or not our clients should be using it as a communication tool to promote their benefits. Social media, just like any other comms tool, quite simply, will work for some businesses and not for others. It depends on the culture, the demographic and how much you can invest into it. The main difference between social media and other methods such as posters, flyers and emails is that social media is much more fluid. You can’t just create something and give it out once or twice, it requires constant monitoring, editing and reacting. It is a conversation, not a monologue. The element of social media that makes it so successful is that it gives your employees the chance to be heard. Burgess and Burgess wrote about how ‘customers want to talk to a real person, who thinks real thoughts in real time’ and this is true of your employees. Social listening allows you to get real feedback and discover what barriers may exist that prevent your employees from really engaging with their benefits package. Here are some things to consider when deciding whether or not social media can work for your business. 1. Where should you start? When you hear the words ‘social media’ it’s common to immediately think of Facebook and Twitter. These are two of the biggest platforms available and can be really effective marketing tools. They may not be the most effective choice for communicating internally however, as your employees may not want to use their personal profiles in a work environment and some IT departments are also tough to convince. There are a range of social intranets which can be much more effective in the workplace, sites such as Yammer, Jam and Salesforce Chatter. These platforms work in a similar way to Facebook and allow for regular content sharing, but are private within your organisation. 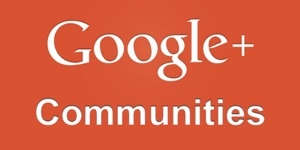 More importantly, they create an online community and allow social conversations to take place. It removes the physical barrier and means that companies are no longer restricted by proximity, everyone and anyone in the business can join in the conversation via the same platform. 2. Have a strategic goal. Before giving your employees a voice on social media, you need to understand what it is that you want them to talk about. We have trialled a couple of social intranet platforms at Reward Gateway and the Engagement team are currently using Google Community. We use it mainly to share ideas and ask for opinions and ideas on projects. It’s a really useful communication tool, especially when we have a number of our team out of the office and visiting clients on a regular basis. IBM created their own internal platform called Connections, which was designed to integrate all daily activities into one single platform, it houses internal announcements as well as external sharing and encourages collaborative working. Giving your employees a voice online helps to create a sense of community. It moves businesses away from the traditional top down broadcast style of communication and encourages more online input from the wider business, which can be particularly valuable when promoting employee benefits and discounts as it allows to employees to share their personal stories and experiences. We have always been advocates for the use of Benefits Champions in the workplace and we have included an online messaging function in our new online Champions product for exactly this reason. Just because not all of your employees work in the Marketing team, does not mean that they are not ambassadors of your brand. The same goes for your benefits brand. People are naturally more passionate about projects that they are involved in and social media can help you move from a culture of telling your employees about something, to inviting them them to help create it. For launches or re-brands, why not ask your employees to help choose the name or vote on their favourite logo? One of our clients, Welcome Break use the social platform Jam for a lot of their internal communications and they created a cleverly named team called ‘Jampions’. They set up an online group where the Jampions could promote the most recent offers and share their savings stories to really help get others engaged, it worked really well and has contributed to the overall success of the Welcome Break programme, moving their engagement from 54% to 84% in just 12 months. Employees are more likely to become guardians of a brand that they have helped to create. By empowering the collaborators of the benefits brand, you enrich the brand itself. 3. Know your employee demographic. 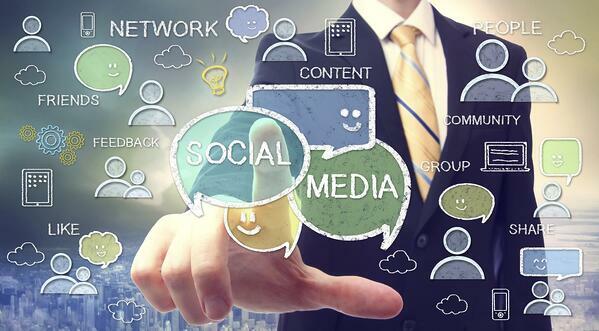 A 2013 CIPD survey found that 26% of employees use social media for work compared with 76% for personal use. This can be an interesting statistic when thinking about your benefits, as employees are much more likely to use shopping discounts or think about applying for Cycle to Work away from the office. Most people now own a smartphone and around 61% of employees use a mobile digital device for work. This means that there are endless resources that you can tap into to promote your employee benefits. 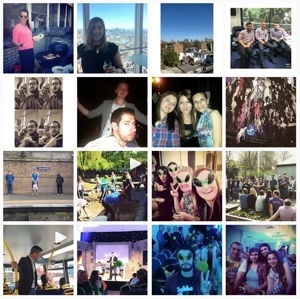 Reward Gateway has quite an active workforce on Instagram, so we regularly run competitions, post photos from events and promote announcements via this social media tool, as we know that it will work for us. We also know that having a young, tech savvy workforces makes it easy for us to try out new social media tools. For example at our most recent Global Business Update (our quarterly, company wide internal event) we asked employees to download a new streaming app called Periscope so that we could conduct the first ever, live interview with an astronaut via Periscope. Content sharing sites and tools can be really powerful for spreading your message, your employees may not want to follow the corporate account but they are likely to follow their colleagues, peers and leaders. If you can identify the active social employees within your business and recruit them to become social champions, they can have a huge impact on sharing content, especially if that content is relevant to the workforce and can add value, for example saving money and making your income go further. The most important thing to consider with social media, is that you will only get out of it what you put in. It’s really important to listen to the conversation taking place and find ways to engage your employees, by creating and sharing relevant content. As use of mobile technology rises, it is important for businesses to give content human appeal and make the message sound genuine. Social media isn’t rocket science but you have to try things out until you find a way that works for you.